Hi! Yesterday I went to Plato's Closet to sell stuff and to look around. 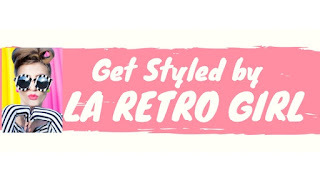 Right now, they are having a great sale and I found many cute, chic items in their store. Above is what I purchased. Everything was a great deal and I'm planning on saving the stuff for back to school. Has any one else started their back to school shopping? Hi! Yesterday night I got back from camp and I am ready to start blogging again. This is what I wore today. I didn't do too much today, I just went to an estate sale and unpacked. I'm excited to finally start wearing what I like again! (not just tee shirts and shorts) Also, don't forget to enter my giveaway! Hi! Isn't this a gorgeous top? It's vintage Christian Dior that I found at a local thrift shop. I made a few alterations and scrubbed a few stains out and voila! For less than $5, this was a perfect find! Also, this upcoming week I will be going away to camp and won't be able to post so don't expect many posts from me this upcoming week. I am giving away two prizes: a $5 gift card to Forever 21 and a $5 gift card to Bath and Body Works. This giveaway will go on until June 30th. Mandatory entry: Follow my blog and leave a comment saying that you are entering and leave some way that I can contact you. An email address or a blog web address is fine. -Blog about my giveaway and leave me the link. If you choose to do this, make sure that you do it in a separate comment. To pick the winner I will either use random.org or a raffle. Good luck! 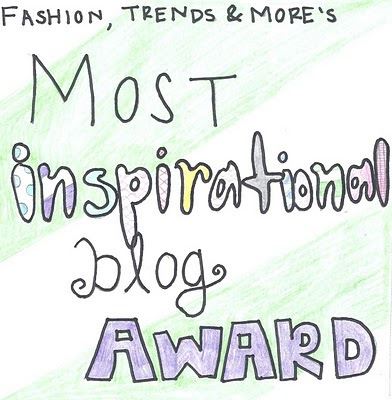 Fashion, Trends and More’s most inspirational blog of the month for June is The Littlest Polly. It is run by a girl who shockingly is called Polly. 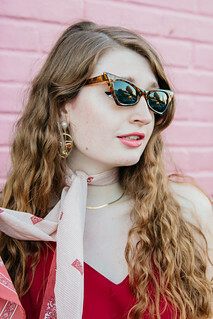 I love how her blog is frequently updated with great ideas, has great fashion not to mention amazing photographs and has cute little buttons on the sides of her blog. I read every post of her blog- her posts are absolutely fabulous. She writes about her life, focusing on fashion and photography. One thing that she loves, as do I, are vintage suitcases. How cute! 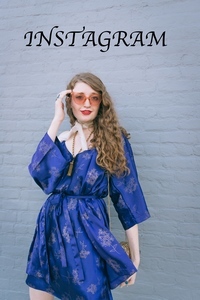 In fact, at least once a month she has a post titled “Suitcase Sunday.” If you like vintage fashion, check out her blog here.